It’s a fantastic Tuesday morning! We are one month away from it officially becoming FALL TIME! Yay!! Which means you have plenty of time to come stop by Shamerrific Shine to get your car detailed 🙂 Summer time is coming to a close, school has started, sports teams are starting and everyone is back at work full time. No worries….we got you covered. Detailing your car will make you ten times happier when you get in it everyday plus when people get inside your car they will LOVE it. 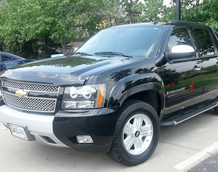 Lots of our customers say that they receive a lot of compliments whenever they get it detailed. Look at this Ford Fusion that recently got a full detail done. Completely transformed the carpets and the seats look even better as well. 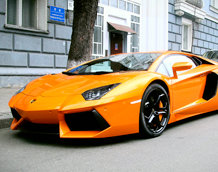 Detailing your car makes it look brand new again just like how you bought it. We are located off of Shawnee Mission Parkway in Overland Park! You can also look at our Instagram, Twitter and Facebook for more before and after photos plus customer reviews and testimonies. We hope to see you soon!! Thank you to ALL of our current customers and ALL of our new customers…we love you guys!! Have a Shamerrific Day!!! Happy Monday! Have you ever accidentally left any food in your car overnight? If you have….you know that it can smell your car up horribly for days and sometimes even weeks. You probably tried those car air fresheners and they didn’t work so you tried something else and that didn’t work. But don’t give up…there is still hope!! 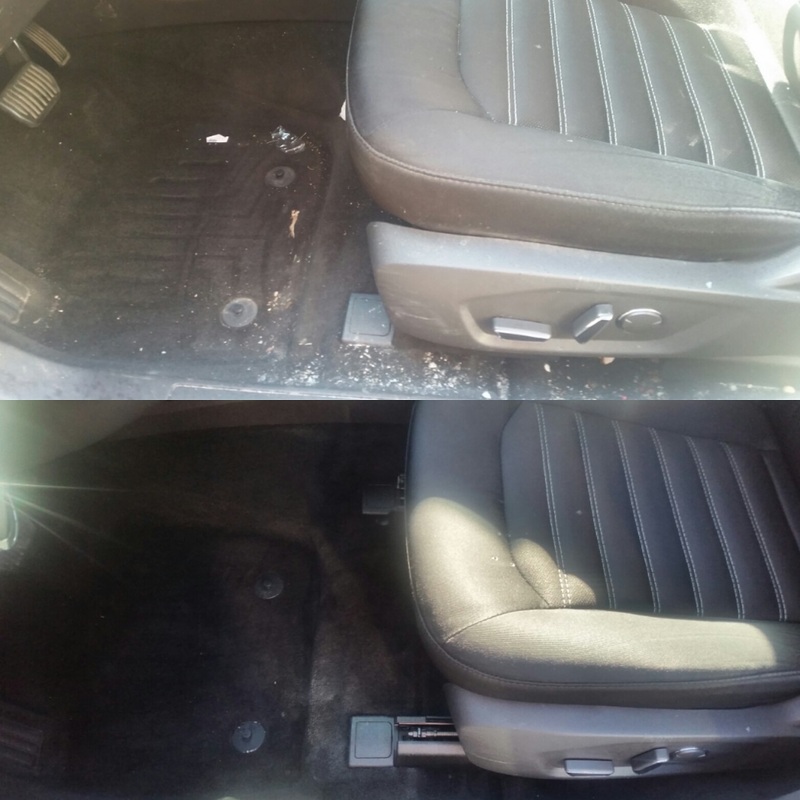 We recently detailed a car where the customer had left meat in the car and wanted the smell and the stain out of the car completely! Look down below of a few pictures of the process of removing the stain and smell out of the car. We performed seat flushing to remove the stain and smell from the car. Next time, give us a call instead of trying to use air fresheners to cover up the smell. Stop by or call us today to set up your next appointment at Shamerrific Shine Auto Detailing. We would love to see you!!! Happy Wednesday!! 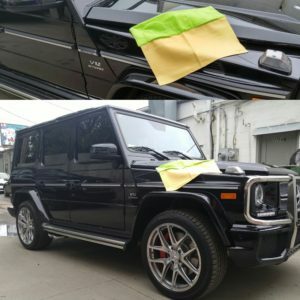 Check out this Mercedes GWagon that got detailed at our shop in Overland Park, KS. 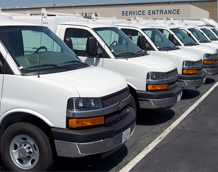 We have a wide variety of packages that you can also customize to get exactly what you need! Everyone needs a detail on their car…with fall time approaching now is the time to get that end of summer clean and fresh look again. We know that summer has been crazy busy for everyone but no need to worry, call us today to schedule your next detail appointment! 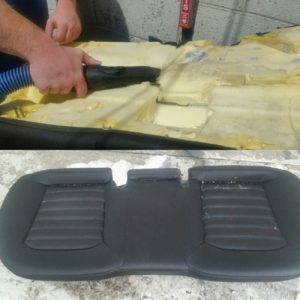 We have fun detailing with our Shamerrific Shine 2-in-1 product which is the only chamois with pockets! 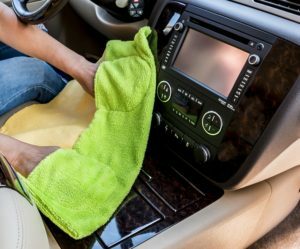 The leading microfiber cleans the wet and dirty surface of the vehicle while absorbing and making the remaining water beads smaller. Then the chamois follows behind picking up the remaining water and drying the surface in one easy motion leaving a Shamerrific Shine, every time! We would love for you to try our product! You can order one on www.shamerrificshine.com or you can come in store and purchase one from us. 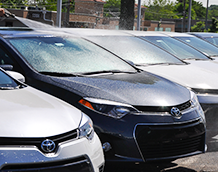 We use our product when we detail our cars and you can take one with you home to use! We hope you have a Shamerrific Monday!!! 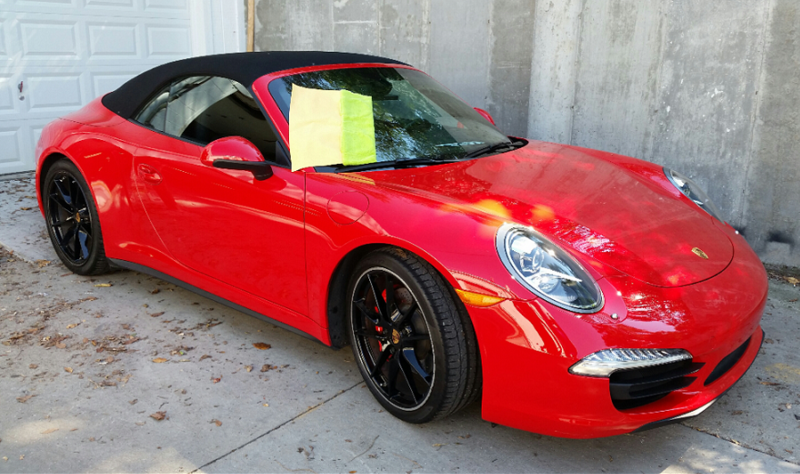 Call us today to book your next appointment with Shamerrific Shine Auto Detailing!